Is Kelp the New Kale? Seaweed Harvesting Growing in U.S.
Home > Food News > Is Kelp the New Kale? Seaweed Harvesting Growing Across U.S.
Is Kelp the New Kale? Seaweed Harvesting Growing Across U.S.
Care for a seaweed snack? Seaweed harvesting is growing across the U.S.
Kale is already well-known as a nutritional superfood, but it may start getting wholesome competition from seaweed. Although wild seaweed has been rummaged off the Atlantic Coast for hundreds of years, and seaweed-based food is already famous in many parts of Asia, there is currently a more active effort to grow seaweed in the U.S.
A growing wave of entrepreneurs across the country are harvesting fresh and frozen edible seaweed—everything from dulse, to kelp and alaria. Seaweed can sell for up to $15 a pound at stores and truckloads of seaweed are currently being sold to hospitals and schools across the country. Seaweed is a good source of carrageenan, agar, alginates (which are used as gelling and thickener agents). Seaweed is rich in iodine, calcium, potassium, fiber, omega 3-fatty acids, protein, vitamins A, B, C, and E and essential amino acids. 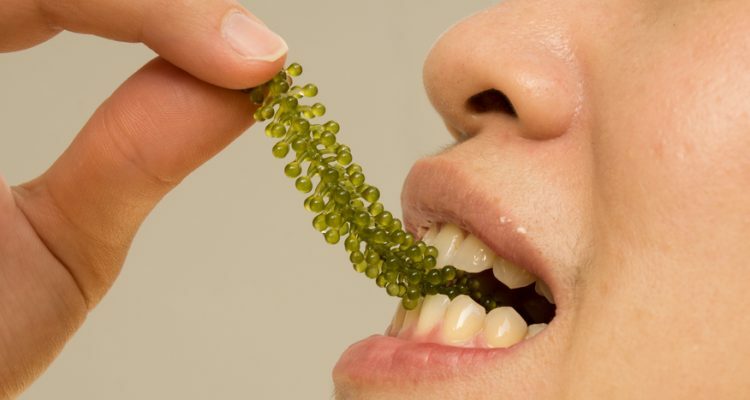 According to a study headed by researchers at Newcastle University, alginate (the fiber found in kelp) might help improve digestion and reduce fat absorption. The study found that eating seaweed reduced fat digestion by approximately 75 percent. No pesticides or fertilizer is needed to harvest seaweed. Seaweed can filter surplus nitrogen and phosphorous from the water. A study published in Nutrition Reviews pertaining to seaweed and human health suggests that seaweed has anticancer, antiviral, and anticoagulant properties. The review also mentions how seaweed has the ability to modulate gut health as well as risk factors for diabetes and obesity. Due to the nutritional properties of seaweed, researchers concluded that more functional food products can be developed utilizing the algae. Now, for those who are kelp-minded, here are the top 5 reasons to eat your sea vegetables. Bever, F., “Seaweed On Your Dinner Plate: The Next Kale Could Be Kelp,” June 5, 2016; http://www.npr.org/sections/thesalt/2016/06/05/480346509/seaweed-on-your-dinner-plate-the-next-kale-could-be-kelp?utm_medium=RSS&utm_campaign=news. Brown, E.S., et al., “Seaweed and human health,” Nutrition Reviews. 2014 Mar; 72(3):205-16. Rajapakse, N., et al., “Nutritional and digestive health benefits of seaweed,” Advances in Food and Nutrition Research, 2011;64:17-28. doi: 10.1016/B978-0-12-387669-0.00002-8.